Vintage weddings are hugely popular with many couples intending to marry. Choosing a vintage theme can get you a cute and whimsical wedding that everyone enjoys. But it’s easy for a vintage wedding to turn into a cardboard cutout of every other vintage wedding. Some soft pink flowers, candles in teacups and a lace wedding dress are all it takes to do it. If you want your vintage wedding to be a little more unique, there are lots of things you can do. Take inspiration from the past and think outside of the box to create a day that’s unlike anyone else’s. Many couples who decide on a vintage wedding just go with a vague vintage theme. Their day might take elements from a number of different eras, often ranging somewhere from the 1910s to 1960s. If you want a unique wedding, you should pick a particular period and run with it. With a better idea of which era you wish to inspire you, you can aim for a more focused plan. When you’re going for vintage, you’re likely to pick something in the last century or so, but you might go further back too. A Victorian-inspired wedding could be just as exciting. If you’re stuck for ideas, you should go to a wedding fair. You can find several of them dedicated to vintage weddings. You don’t necessarily have to use any of the vendors you find there, although you might go home with some useful contacts. It’s also an excellent way to collect ideas if you want to take more of a DIY approach. You’ll be able to make your wedding much more unique if you’re willing to make some things yourself. Even if you would rather get other people to do everything, you can find things you wouldn’t have considered at a wedding fair. Trying to avoid a cardboard cutout vintage wedding means personalising what you can. There are so many things you can make more personal instead of buying them as they are. 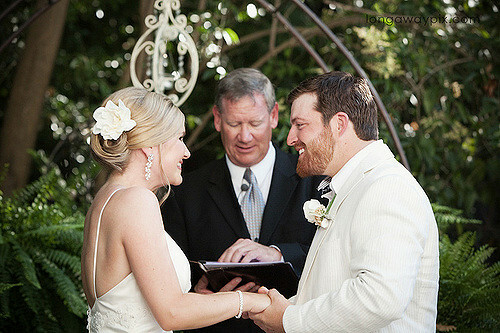 You can add text and other details to stationery, decorations, and other aspects of your wedding. Choose what you want to write on your Paper Themes vintage wedding invites or which flowers you want to have. Of course, if you want things to be personalised completely, you should make them yourself. A lot of vintage weddings only take certain elements from their chosen period. If you want to go further, you can put everything you have into your theme. Choose era-appropriate outfits and ask your guests to dress up too. You could source vintage furniture and put on a vintage menu (updated for a more modern and refined palette). Pick a venue that matches the period you’ve chosen so that you have a good place to start from. Your vintage wedding can still be unique, even if you take inspiration from elsewhere. Think outside of the box to create something truly special.